Hot Pink Heart Umbrella - Umbrella Heaven, 1000+ umbrellas! It’s not just a looker, with that BIG canopy and windproof 16 spoke fibreglass frame, Heart umbrellas are incredibly practical too. Check out the rest of our range of quality Heart Umbrellas! 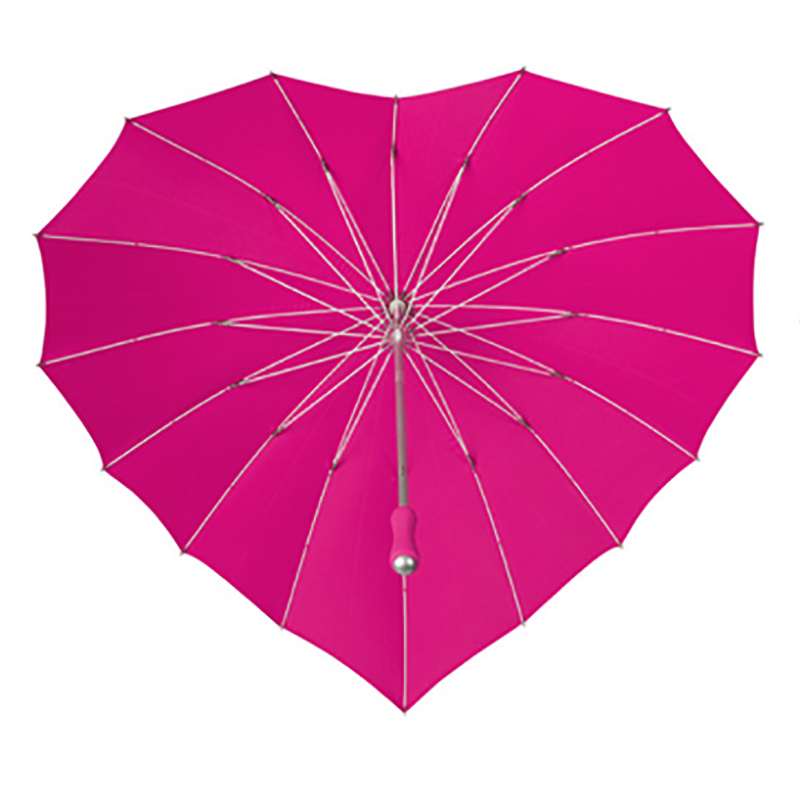 Looking for a hot pink heart umbrella? This umbrellas’ striking pink canopy will WOW anyone who sees it. 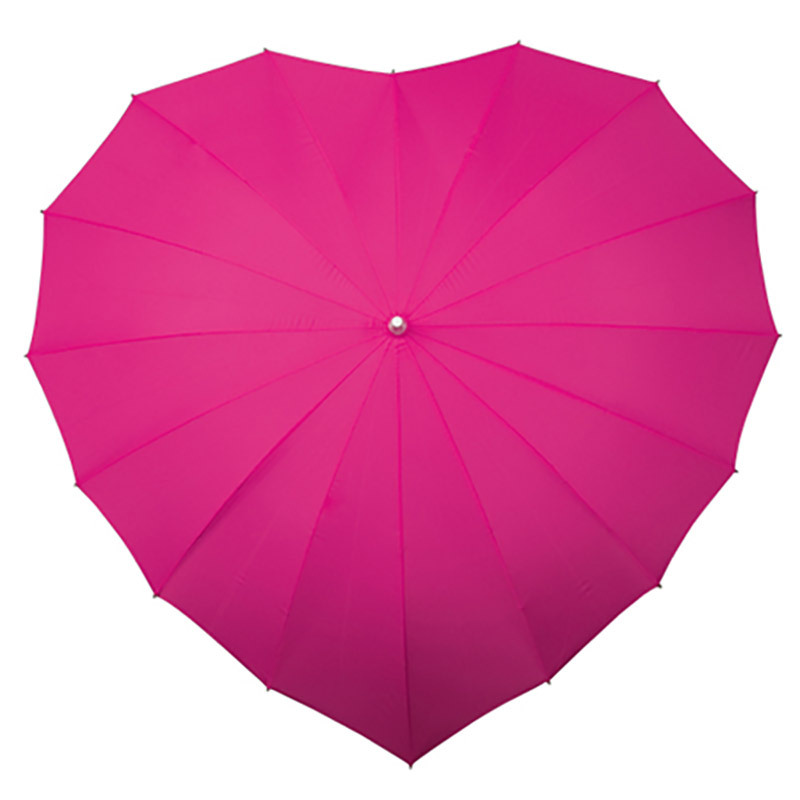 this beautiful hot pink heart umbrella will get you noticed in any crowd. If you love someone – you just have to send them one of these very special Fashion Umbrellas or, even better, have them order one for you. New to our renowned range of Fashion Umbrellas, the hot pink heart umbrella has a strong yet lightweight fibreglass frame which makes it totally windproof. 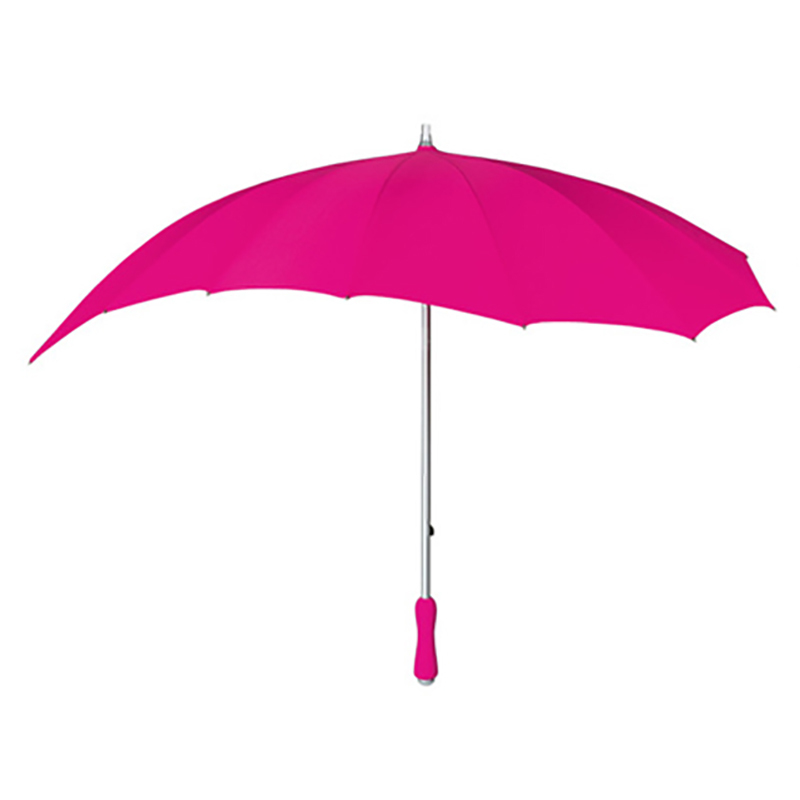 Around 88 cm in length the unique hot pink heart umbrella also has a very smart, colour coordinated, ergonomically designed pink rubber handle and comes complete with a lightweight aluminium shaft, matching tip and handle protector. Weight 470 g approx. With a choice of many different colours, the sought-after hot pink heart umbrella was designed to compliment virtually any outfit. Let the person you love know that you care with the Heart Umbrella and if he doesn’t want it… you could always keep it for yourself. Style with a touch of class! Available colours include – Red, Hot-Pink, White, Black, Ivory & Soft-Pink. Canopy size: 100 cm front to back and 110 cm wide. 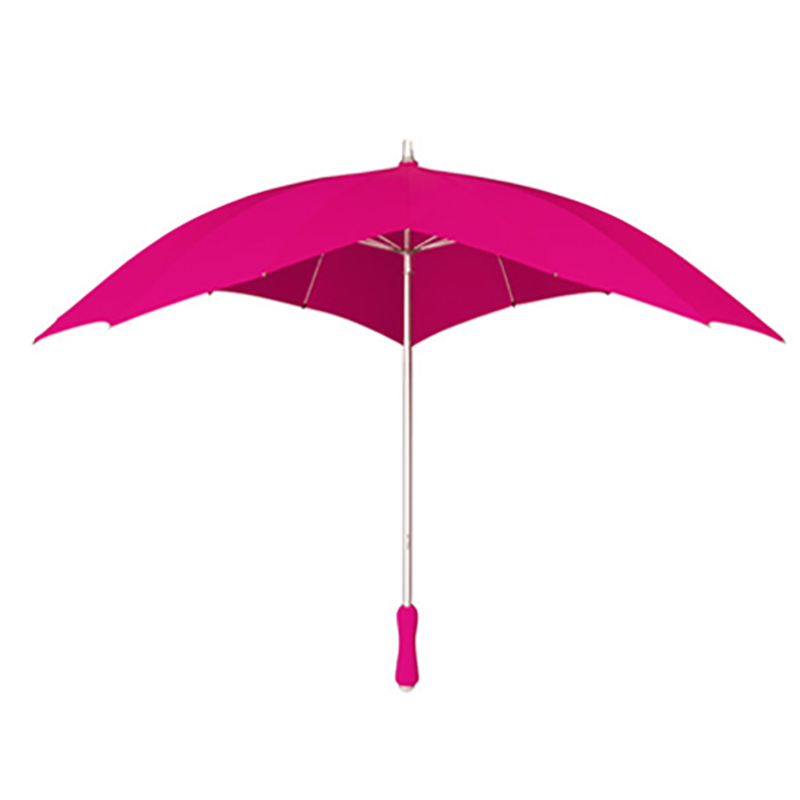 Play safe – Order your Hot Pink Heart umbrella now. Because you never know when it might start raining again and the drowned rat look is just so uncool these days. Please note: these are full length (88 cm) umbrellas, not teeny little, compact ‘handbag’ sized umbrellas.